Leecia Eve speaking with the press after an Attorney General Democratic primary candidates debate on August 28th. It’s the case she’s most proud of, Eve says regularly, and suggests how she’d challenge Donald Trump—a common theme among the four rivals for the Democratic nomination for Attorney General, who are all aiming to fight rollbacks of civil liberties, women’s rights, and environmental protection, among other things. Since that case, the Harvard Law-trained Eve’s professional history has been more inside the system, as counsel for Senators Joseph Biden and Hillary Clinton, and a partner in western New York’s largest law firm. Her more recent governmental experience involves working for New York State—and then influencing it. After Andrew Cuomo was elected governor in 2010, an intermediary reached out to Eve through her brother Eric, a veteran public policy strategist (and her current campaign manager), asking gingerly if she were open to working for the governor, “because he knew the history,” she recalled. The “history,” of course, was Eve’s abortive run for Lieutenant Governor starting in 2005 when for eight months she pursued—with support from black leaders in Harlem—the Democratic nomination, offering the appealing balance of a black woman from Buffalo, with an strong record and esteemed family name, to a downstate white male gubernatorial candidate, Attorney General Eliot Spitzer. But Spitzer chose Harlem state Senator David Paterson as his running mate. 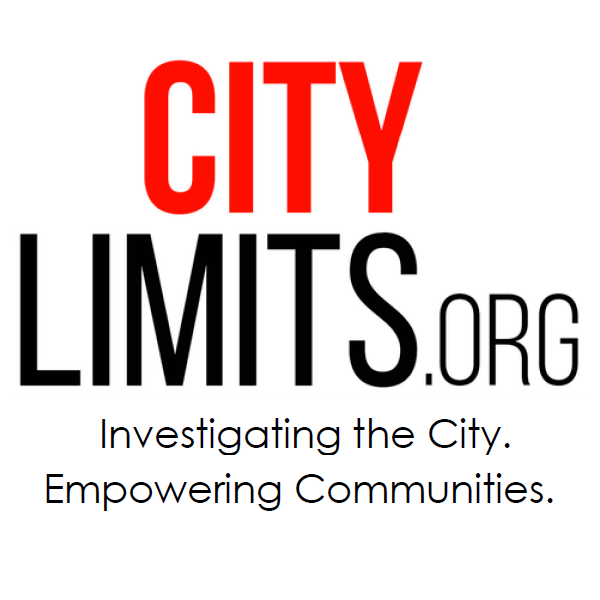 Eve withdrew, and observed Spitzer’s fall and Paterson’s stumbles while at the No Limits Foundation, a now-defunct nonprofit focused on women’s issues founded by Ann Lewis, a former aide to both Bill and then Hillary Clinton. Eve was interested in Cuomo’s 2010 offer. “I think he’ll make an effective governor,” she recalls saying at the time, and she didn’t have hard feelings towards the Democratic establishment for what might have been back in 2006, explaining, “I do view public service as a calling.” From a range of options, Eve chose economic development, because that could help families get “a fair shot,” especially in New York’s struggling upstate. So Eve became general counsel of Empire State Development, the state’s economic development authority, which was “like running a small law firm;” Ten months later, she rose to become Deputy Secretary for Economic Development, the first woman and first person of color—as she points out at debates, in her crisp style—in that job, overseeing 11 agencies. Eve proudly recalls progress she helped engender, such as connecting small manufacturers with educational institutions that offered job training, and working on legislation to create land banks, thus assisting municipalities plagued by abandoned homes. She doesn’t claim authorship. “I’m smart and secure enough to talk to people in the weeds,” she said, quickly invoking not dissimilar work for Clinton on issues like voting rights and post-9/11 assistance to firefighters. At forums, she regularly cites expertise, based on work for Clinton and Biden, on policies toward immigration, security, farm policy, and violence against women. Their relationship was strong enough that, after Eve left in 2013 for her current lobbying job at Verizon, Cuomo appointed her last year as a Commissioner of the Port Authority of New York and New Jersey, a voluntary role, where she serves as Vice-Chair of the Finance Committee, and Chair of the Security Committee. She continues in that role as she runs for AG. “I’ve been asked: Would you aggressively go after corruption, even in the governor’s office?” she noted. “Absolutely I would… I know what good, ethical public servants can do.” As to the Buffalo Billion, the scandal-tinged state program focused on Western New York, Eve told Brian Lehrer she faces no conflicts, since that began long after she’d left her state job. 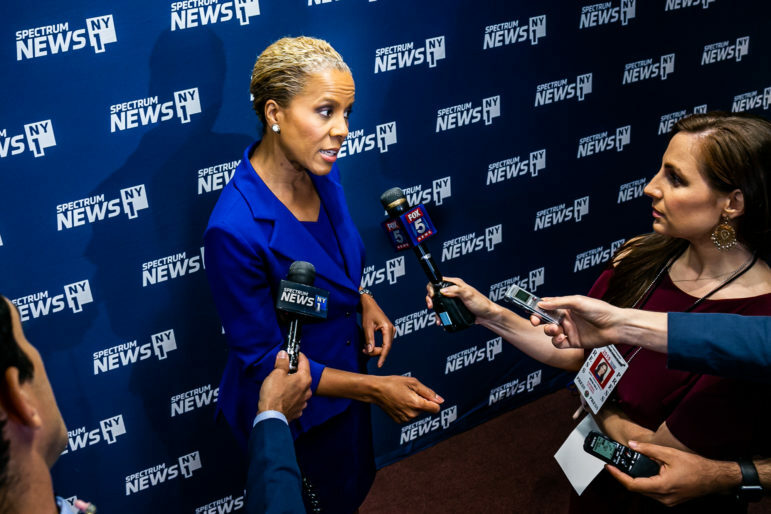 She’s said she hadn’t spoken to Cuomo about her run for attorney general and, resisting a press description of her as a “political insider,” regularly notes she wasn’t the party-endorsed candidate (that would be Letitia James). “I think he’s been a good governor,” Eve said at one forum, but she called it “a big mistake” for Cuomo to shut down the Moreland Commission, which aimed to investigate public corruption. While rival Zephyr Teachout has slammed the Cuomo-controlled Joint Commission on Public Ethics (JCOPE) and called for executive director Seth Agata, a Cuomo ally, to resign, Eve told Susan Arbetter she didn’t believe Agata should step down: “I worked with Seth… he was always someone who conducted himself with utmost integrity.” Still, her anti-corruption and voting reform plan recommends, among other things, that JCOPE be replaced by a non-partisan commission, which implies that she thinks Agata should be replaced eventually. Verizon experience: help or hindrance? Her job at Verizon, she has said, requires focusing “on educating stakeholders” regarding out-of-date regulatory structures. It’s also provoked some skepticism, even scorn, from those unhappy with the performance or power of her employer, including those who question that a “lobbyist” is attacking “Professor Teachout.” But Eve’s rivals—perhaps because she’s trailed in early polls, with less of a base beyond Erie County Democrats—have not made it an issue. Interviewed on WNYC’s Brian Lehrer Show, Eve faced some pushback from the host and callers regarding her corporate connection. Then again, she later noted, one caller had pointed to her pushing Verizon to participate in the state broadband program. The Communications Workers of America called the overall package—involving repairs across the state, as well as an increased broadband buildout—a victory for consumers, saying it resulted from the union’s pressure. Telecom issues represent a small slice of the Attorney General’s purview, but contentious cases can emerge. In 2016, when Verizon faced a seven-week work stoppage, it couldn’t deliver top-notch service, so it asked the state Public Service Commission (PSC) to waive some required repair performance standards. Under ethics rules, Eve confirms, she’d recuse herself from cases involving Verizon or other telecom issues, leaving policy decisions to senior staff. Shortly before our interview, on August 20, Attorney General Barbara Underwood issued a press release about the state taking a lead role in a lawsuit around net neutrality. That brief contained a declaration from a California fire chief recounting Verizon’s throttling of service during public-safety emergencies. Verizon apologized, and said it was lifting data restrictions on public safety customers in similar straits. The litigation would continue were she elected, Eve affirmed, though because of her promise to recuse herself from all matters Verizon, she’d play no role in it. Eve says she’s always supported net neutrality, and that Verizon has taken issue with how it was being implemented. While her fundraising lags rivals, Eve’s drawn a good chunk of money from people connected to Verizon, including her former boss Randal Milch, now at New York University, who contributed $25,000. Eve has since 2014 given $18,000 to Verizon Communications Inc. Good Government Club, a political action committee that contributes on both sides of the aisle. She favors public financing of campaigns and eliminating the “LLC loophole” that allows outside corporate influence. Eve is no stranger to government service, or politics, honing her advocacy skills as the one daughter among four brothers. Her service to Biden began in the mid-1990s, but her roots go further back: Asked her role models at one recent forum, Eve cited her father and mother: Arthur Eve was a crusading Assemblymember from Buffalo for 36 years, serving as Deputy Speaker, and founded programs offering minority and disadvantaged youth a path to college; Constance Eve, a teacher, built a major alternatives to incarceration program. Those disclosures are not easily accessed, but a Freedom of Information Law request by Dan M. Clark of the New York Law Journal to JCOPE revealed that Eve is by far the highest compensated of the four Democratic rivals, earning between $850,000 and $950,000. That disclosure form—which Eve’s campaign also released after a request—otherwise lists other investments and a retirement fund. Her tax returns might shed light on such things as tax strategy and charitable contributions. When it comes to policy issues, Even has departed from different rivals on different counts. At one forum, Eve expressed more openness to charter schools—”I’m not going to tell a parent, whose child is in a failing school… they have no other options”—than Teachout or James, though she stressed she hadn’t gotten money from those involved. At another, Eve, as did Maloney, cautioned against “abolishing ICE.” Beyond fighting Trump, Eve highlights the importance of state policies, notably criminal justice reform, plus voting rights, consumer protection, and ensuring “all New York children have a quality basic education.” She’s promised to revive and expand a program from former Attorney General Robert Abrams (1979-93), to place AG staffers in local communities for a day. Pingback: Hexbyte - Tech News - Ars Technica | Verizon lobbyist runs for NY AG—as the state sues FCC over net neutrality repeal | HexByte Inc.
Kathy Hochul believes the lieutenant governor is there to help achieve the governor’s agenda. Jumaane Williams says he’d use the post to challenge the governor and try to move state policy left.